Containing mostly ranch-style homes, this neighborhood has few fences and large front lawns. All but two homes out of the 68 properties are one-story high and average 1,900 square feet in size. Most homes have small front porches and maintain their original designs with few remodeling changes. 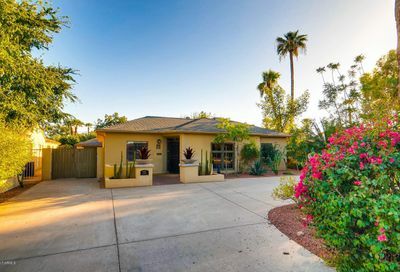 The streets were designed in a horseshoe pattern that offers excellent views of the nearby Encanto Golf Course and expresses an upscale feel of the neighborhood. These homes attracted middle- and upper-middle class families in the early postwar period. Many of the original owners owned their own businesses or sold real estate. The land for Encanto Vista was platted in 1943, but the Hamman Lumber Company had to wait on construction until World War II was over. By 1949, builders completed 72 percent of homes. Boundaries: Bounded by Windsor Avenue, Encanto Boulevard, 7th and 8th Avenues.